Join the West Town Chamber and Canine Crews for their first Open House at their newest location in River West! There will be a ribbon cutting ceremony to officially welcome them to the neighborhood, followed by food, drinks and of course it will a dog friendly event (existing clients only). 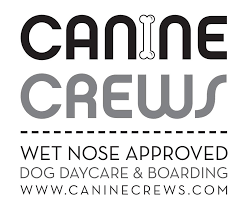 If you're interested in signing your pup up with Canine Crews in time for this event, visit https://caninecrews.com/riverwest/ or call (773) 235-1616. Canine Crews River West will be offering tours of the facility, raffles and so much more! Details about raffles and demonstrations to come. Thursday, April 25th from 7 p.m. - 9 p.m.